Reo: Mai! Where did you hide my snacks!? Mai: Hey! Didn’t I tell you you’ve already had enough for today? You eat too many as it is. Reo: Y-You’re such a fascist! I even bought those with my own money! Mai: Fascist, nothing. What belongs to you belongs to me. And I belong to you. 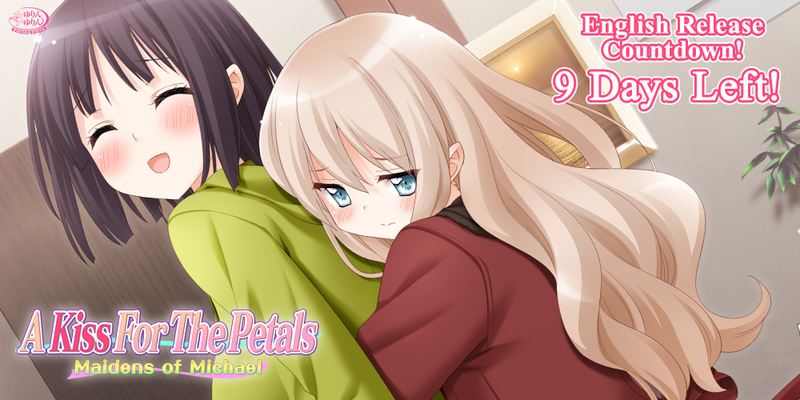 Mai: Oh, Reo, “A Kiss For The Petals – Maidens of Michael” comes out in nine more days. « A Kiss For the Petals: Maidens of Michael Countdown – 10 Days Left!